Creative Cloud is the jewel in Adobe’s cloud services crown and includes Photoshop, Acrobat, Dreamweaver, Lightroom, InDesign, Illustrator and other software. The outage seems to be widespread and is affecting users in Americas, Europe and Asia Pacific today (May 15, 2014). Adobe says it’s identified the cause but did not disclose it. 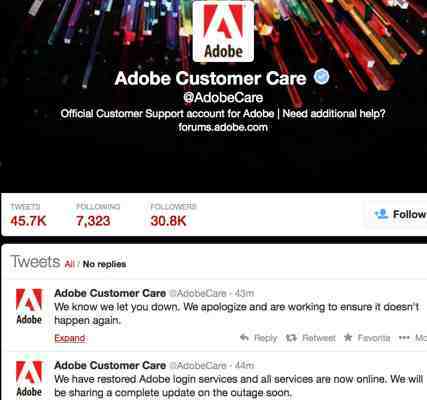 We apologize that Adobe login is offline. We identified the cause & will restore as soon as possible. Adobe is asking users currently signed into the Creative Cloud applications and services not to sign out until after service has been restored. Update: Adobe is offering a workaround to affected users telling them they can use their Creative Cloud software in trial mode. 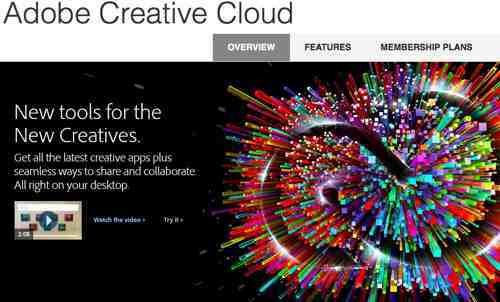 Creative Cloud is hosted on Amazon Web Services. 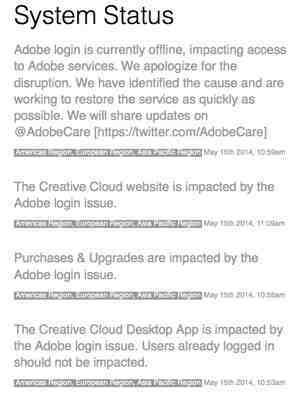 Update 2 (9:02PM ET, May 15, 2014): Adobe says Creative Cloud is operating normally and apologizes for outage.